Blackjack Talladega's King Of Hearts - "Luke"
Luke is living the good life in Mississippi. Singled out from the puppy class with Esteban Farias, Luke is in search of his majors. 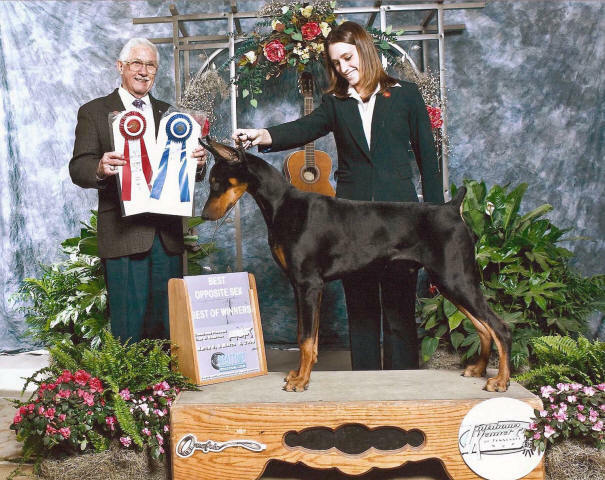 Luke is owned by Gerry Hoffer and Susan Rochester. 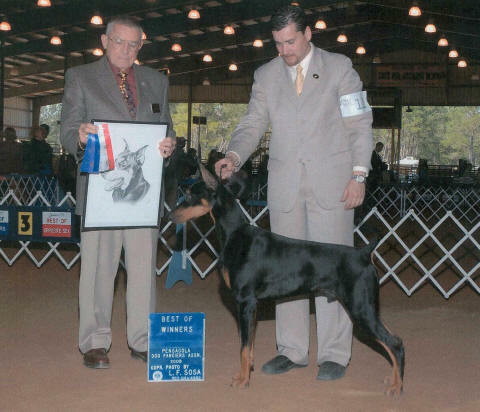 Luke's DPCA page and pedigree. 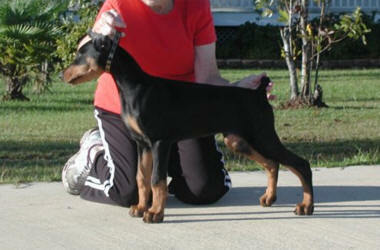 Luke has multiple Best Puppy wins along with multiple group placements as well as WD, BOW, BOS. Luke wins again with Esteban at the helm. Thanks to judge George Heitzman! Ringside photo of Luke at 11 months, handled by Esteban Farias.